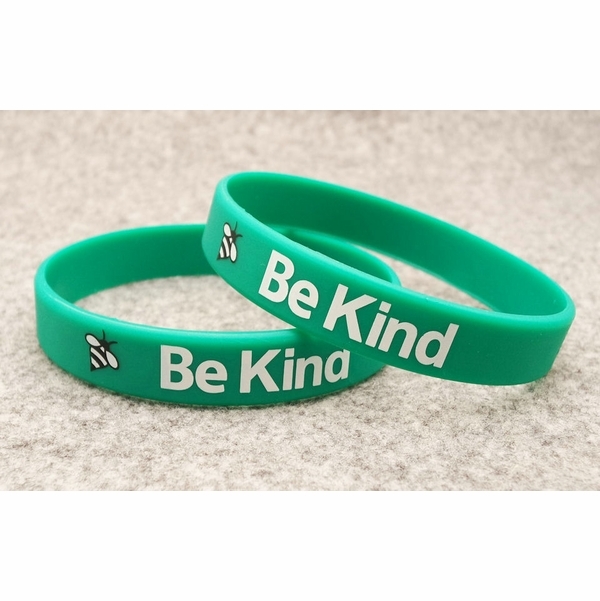 "Be Kind" Rubber Bracelet Wristband - Adult 8"
2 - 9 units $1.99 ea. 10 - 24 units $1.75 ea. 25 - 49 units $1.25 ea. 50 - 99 units $0.99 ea. 100 - 249 units $0.79 ea. 250 - 499 units $0.69 ea. 500 - 999 units $0.59 ea. 1000 + units $0.49 ea. Heaven knows the world needs more kindness. 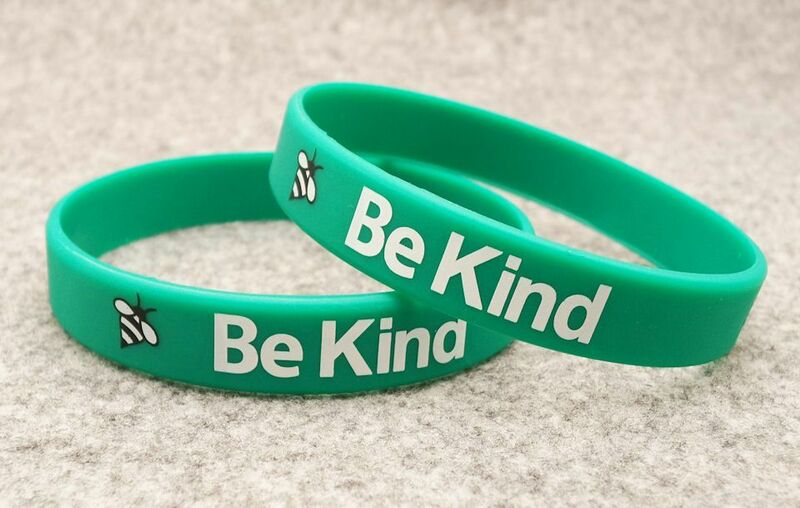 Share or wear this Be Kind rubber wristband to help spread the reminder to be kind. This Be Kind Be Band for men and women helps you become the person you want to be by reminding you to be kind. 20% discount exclusively for schools, churches, and fundraisers If you are ordering for a school, church, or for a fundraiser (please Be Honest), enter coupon code beband20 to receive a 20% discount on your entire order. All school, church and fundraiser organization discount orders must have a school, church or fundraising organization shipping address. By wearing the Be Kind Be Band, you are constantly reminded to think twice about how you react to and treat others. To help reinforce the message on the Be Band, we encourage you to move the Be Band from one wrist to another each time you stray from that behavior. We also encourage you to set a goal identifying how many days you want to go without straying from the behavior, thus having to move the Be Band from one wrist to another. Many people set a goal of 21 days, because studies have shown that when behavior is modified for 21 consecutive days the old behavior will not return. Our goal is to help inspire positive change in people’s lives all over the world. If you are in need of a Be Band message that we don’t already have, or a custom Be Band, please call our friendly customer service team at 800-279-7513. "Be Respectful" Rubber Bracelet Wristband - Adult 8"